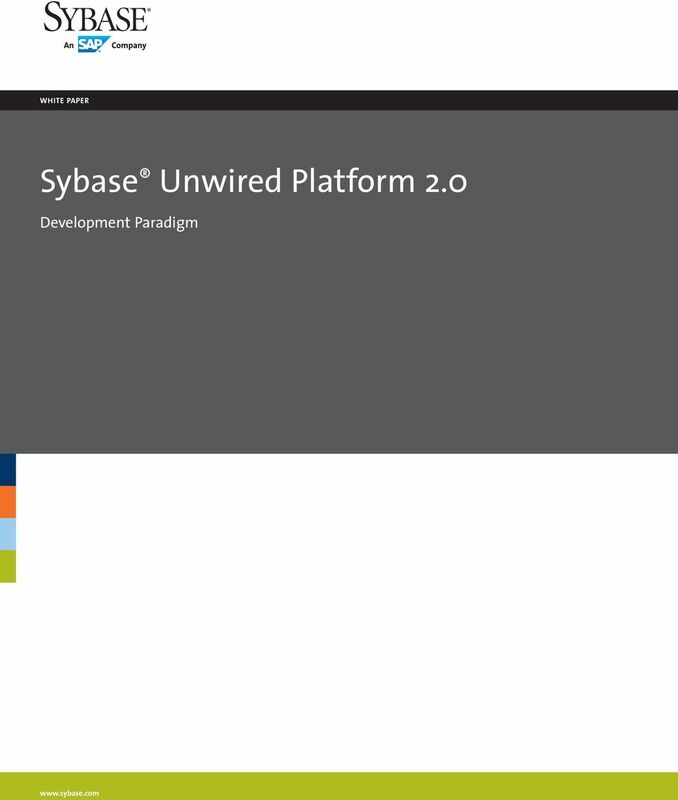 Download "Sybase Unwired Platform 2.0"
6 Using the preview capabilities within MBO development tooling, developers can do preliminary tests of the MBOs and visualize the data that will be available on the device. 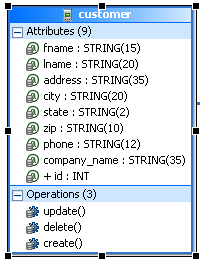 Mobile Business Object Development in Eclipse Sybase Unwired WorkSpace, which enables developers to model MBOs, is a plug-in in the Eclipse development environment. Experienced Eclipse developers are familiar with Eclipse s consistent use of windows, explorers, views, wizards and preferences. 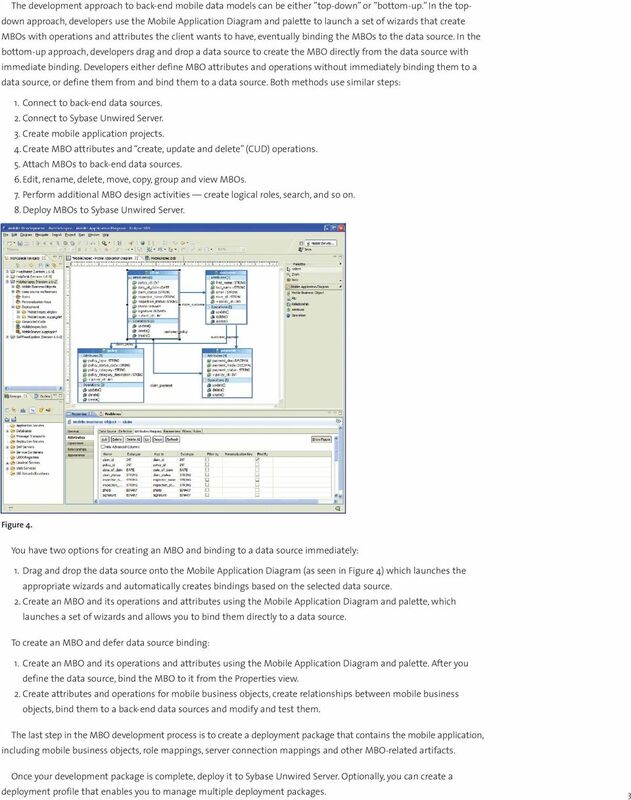 Developers new to Eclipse can use the online help, samples and tutorials of Sybase Unwired WorkSpace to become familiar with MBO and device application development. 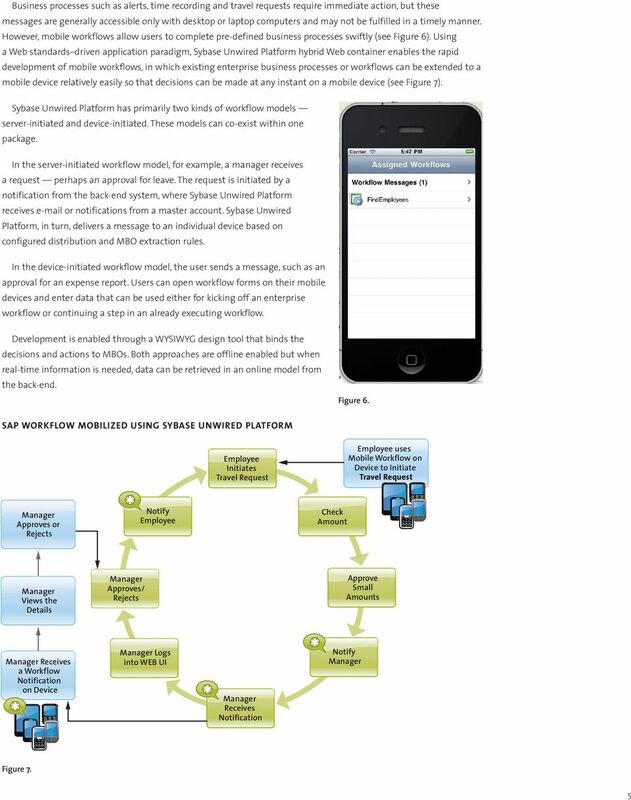 Device application development Sybase Unwired Platform supports two main modes of application development when creating the user interface and logic. These two modes are hybrid Web container-based development and native application development. Hybrid Web container-based applications are appropriate for extensions of business processes or workflows such as approvals or requests and other lightweight applications. Native application development makes sense when: Complex business logic is needed Device services integration is intrinsic to mobile applications User interface expectations depend on device-specific capabilities No boundaries other than what is provided natively by the mobile operating system are required Ability to evolve with mobile operating system is required The development lifecycle for native device applications, which you can perform in parallel with back-end MBOs, includes: 1. Develop device applications 2. Generate code and application 3. Deploy application to simulator 4. Debug/test against simulator 5. Configure Sybase Afaria device management platform to provision application Afaria is an optional component that is separately licensed and only supported on 32-bit hosts. You can use Afaria with Sybase Unwired Server to perform advanced mobile device management, extended device security and provisioning in your production environment. However, because of platform requirements for Afaria and Unwired Platform, Afaria must be installed on separate hosts. Hybrid Web container based development (Mobile Workflows) In Hybrid Web container-based development, the application is made up of HTML/CSS/JS and the device has a single container that interprets this Web content (see Figure 5). This container needs to be deployed once and, from then on, multiple application metadata can be deployed automatically without having to generate any code. Connect Data Source Integration Sybase Unwired Platform Server Deploy MBO Deploy Workflow Hybrid Web Container Sybase Unwired WorkSpace 4 Figure 5. 8 Native application development In native application development, the application is based on compiled code that is specific to a particular mobile operating system. An iphone application, for example, is developed in Objective C, a Windows Mobile application is developed in C#, and so on. Native application development provides the most flexibility in terms of leveraging the device services to their fullest potential, but each application must be provisioned individually after compilation, even for minor changes. 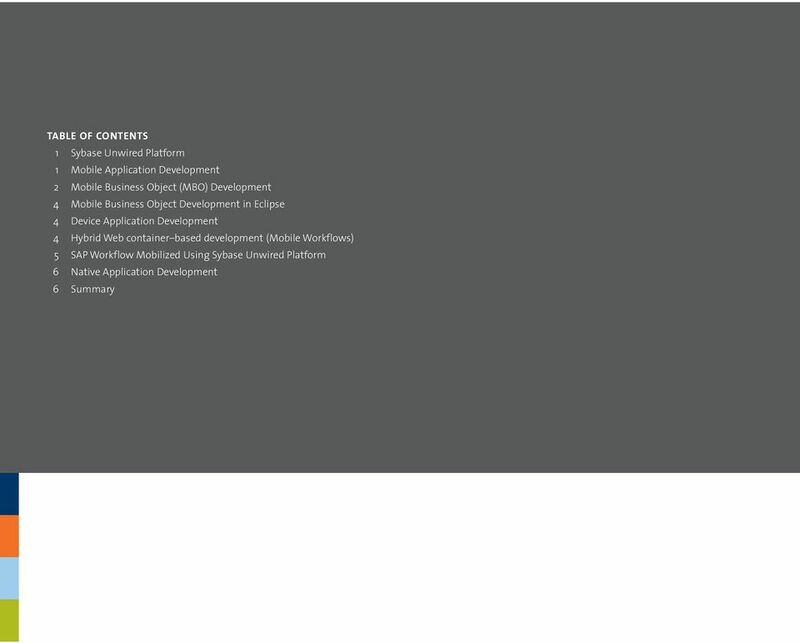 Connect Data Source Integration Device-Specific Development Sybase Unwired Platform Server Deploy MBO Sybase Unwired WorkSpace Generate Code Generate Default GUI MBO API Device GUI Customize SDK Figure 8. Developers use the standard IDE for native application development (see Figure 8) and can use the generated code based on the MBO. You will build the business logic and user interface pieces of the mobile application in your IDE of choice. iphone will use XCode, Windows Mobile will use Visual Studio, and BlackBerry will use BlackBerry Eclipse plug-in. When building high-performance production applications, the recommended approach for Sybase Unwired Platform is to use native IDEs, such as XCode and Visual Studio, to leverage the MBO API. 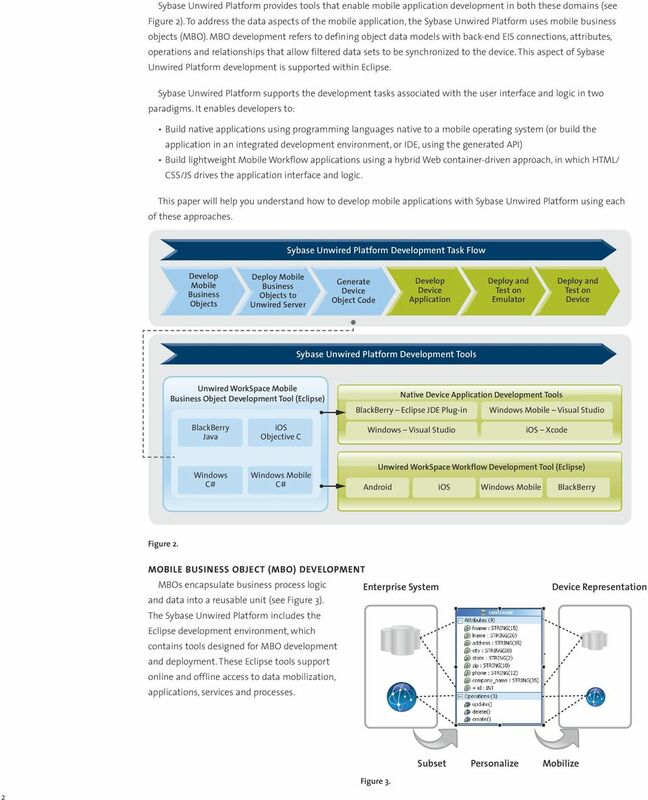 Summary The flexible, open Sybase Unwired Platform infrastructure offers development teams many options to create and manage mobile applications that connect heterogeneous back-end data sources to mobile devices. 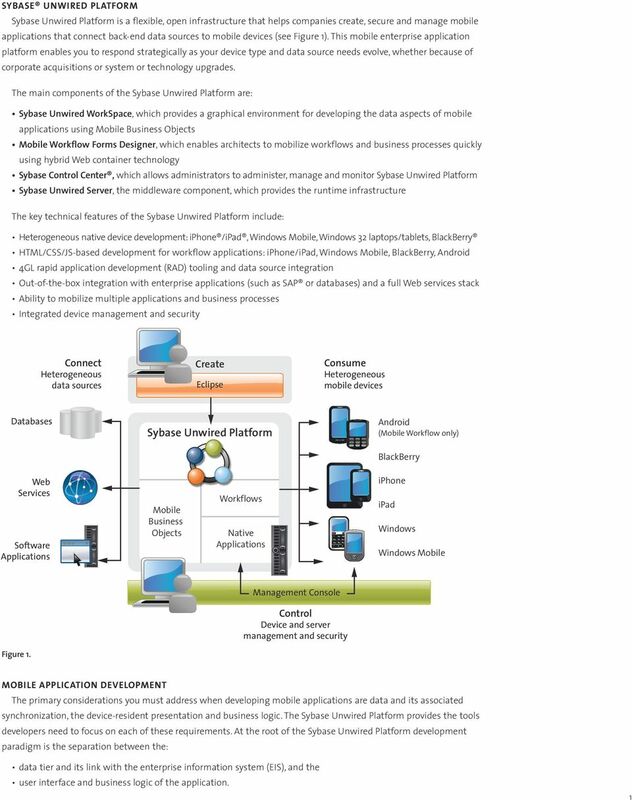 Sybase Unwired WorkSpace provides a graphical environment for developing the data aspects of mobile applications. Device application developers can work in a GUI environment using the Unwired WorkSpace Mobile Workflow Forms Designer, or use native tools to bind to the Object API programmatically. 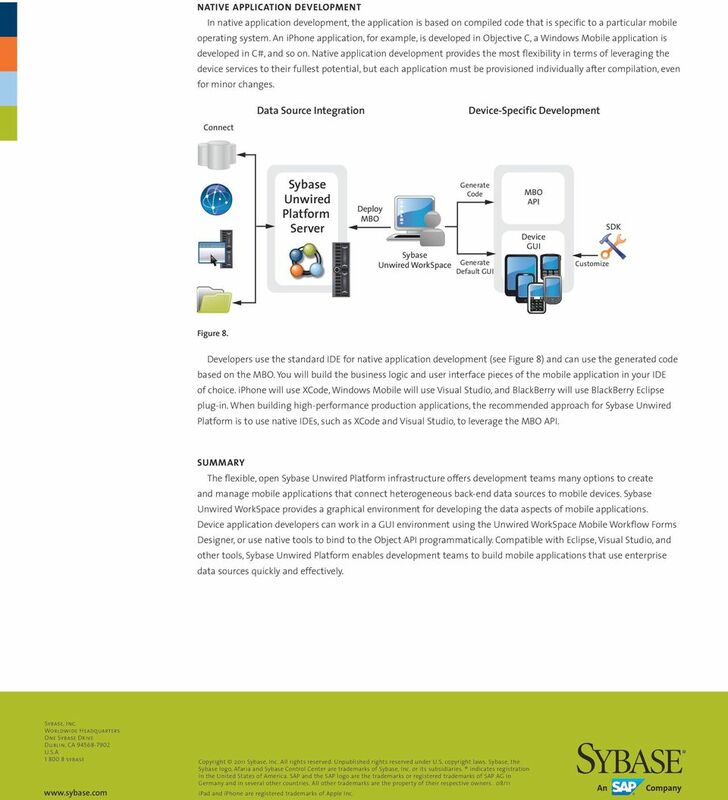 Compatible with Eclipse, Visual Studio, and other tools, Sybase Unwired Platform enables development teams to build mobile applications that use enterprise data sources quickly and effectively. Sybase, Inc. Worldwide Headquarters One Sybase Drive Dublin, CA U.S.A sybase Copyright 2011 Sybase, Inc. All rights reserved. Unpublished rights reserved under U.S. copyright laws. Sybase, the Sybase logo, Afaria and Sybase Control Center are trademarks of Sybase, Inc. or its subsidiaries. indicates registration in the United States of America. SAP and the SAP logo are the trademarks or registered trademarks of SAP AG in Germany and in several other countries. All other trademarks are the property of their respective owners. 08/11 ipad and iphone are registered trademarks of Apple Inc.
Introduction to IBM Worklight Mobile Platform The Worklight Mobile Platform The Worklight Mobile Platform is an open, complete and advanced mobile application platform for HTML5, hybrid and native apps. 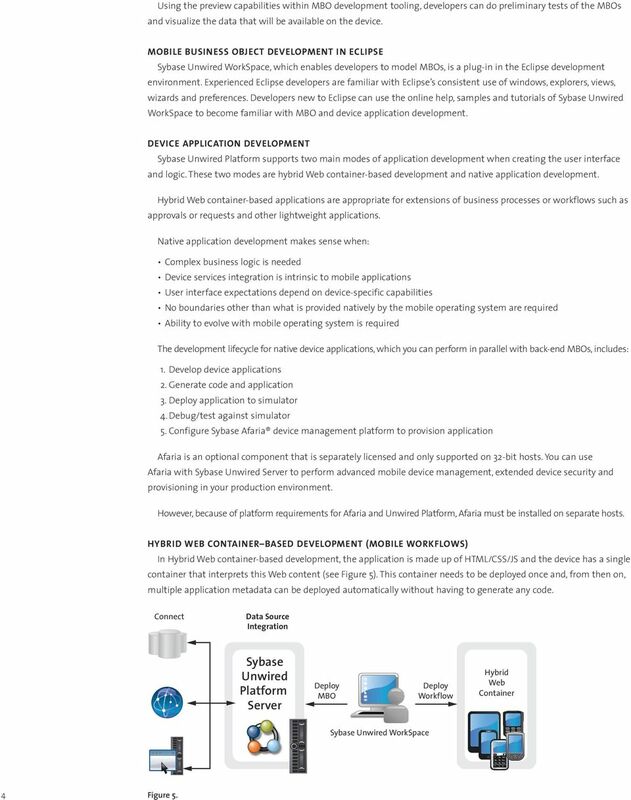 Developer Guide: Windows and Windows Mobile Object API Applications SAP Mobile Platform 2.3 DOCUMENT ID: DC01925-01-0230-01 LAST REVISED: February 2013 Copyright 2013 by Sybase, Inc. All rights reserved. CWR Mobile CRM. August 2011. Whitepaper. Technical Overview. Copyright 2009-2011 CWR Mobility B.V.
Chapter 1. Introduction to ios Development. Objectives: Touch on the history of ios and the devices that support this operating system.